We’ve been really excited this year to have a full house! We have four kids with us now. Celia is still with us and is in 8th grade this year. We love her sweet and quiet spirit. Flora came to us in December of last year, and she’s finishing her senior year of high school. She’s one of the hardest working kids that we’ve had in our home, and she’s full of hopes and dreams for next year after graduating. 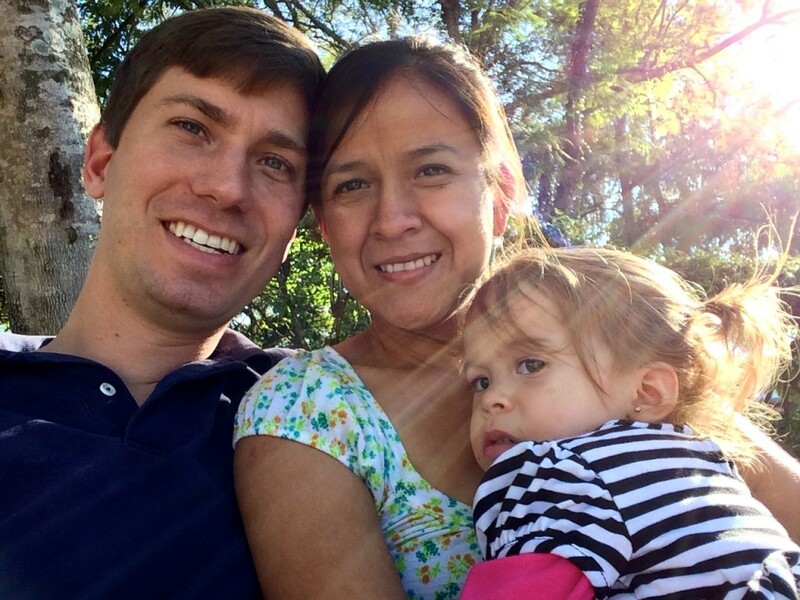 Flora also delights us with her great desire to grow in her relationship with the Lord. Celia and Flora live next door to us in a house that we’re renting for the girls, and our friend Erika is helping us again to take care of the girls. Alejandro also came to live with us in December. He turned 18 and graduated from high school last year, and so he had to leave his orphanage. In January he was accepted for a job as a bank teller in a town near us. It’s been a big change for him as he adjusts to the working world. And our newest member is a fifteen-year-old named Alfonso. He had left the orphanage to return to live with his mother, but money was tight and he wasn’t continuing to go to school. So we received permission from his mother to take care of him and send him to school. He’s currently studying in eighth grade along with Celia. One of the primary goals of our home is to create a family. With kids coming from so many different backgrounds, it’s difficult for them to know how a mom or a dad should act. They don’t know what a good marriage looks like and they don’t know how a family should interact. This is a huge job that is oftentimes very difficult because it means that all eyes are on Yuli and me all the time, examining how we act and how we react. But our hope is that all of them would one day have a family of their own and be ready to be a mother or father to their own children. We would greatly appreciate your continuous prayers for us, that we would model God’s love and be faithful to Him in all that we say and do. We received big blessings on Mother’s Day and Father’s Day as the older guys surprised both of us with a visit. Nothing brings joy to our lives like spending time with Edwin, Benjamin and Elias, and continuing to encourage them in their lives. 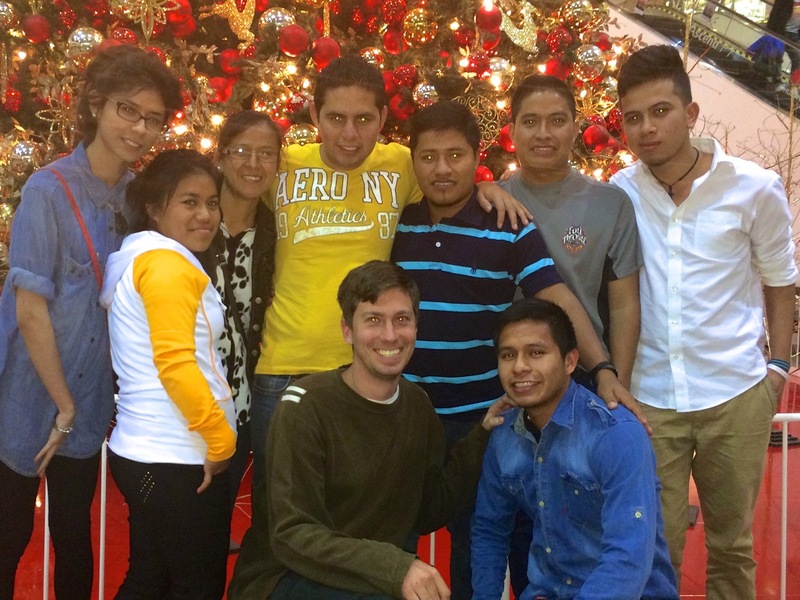 Please continue to pray for them that they would continue to seek the Lord in their lives. 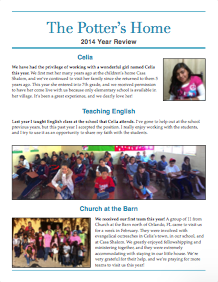 For the third year, I’m helping at Celia & Alfonso’s Christian school as an English teacher. This year I have two classes: middle and high school, and it’s a great experience to interact with a lot of kids. Along with teaching grammar, vocabulary, reading and speaking, I also try to involve the Bible in the teaching experience as much as possible. 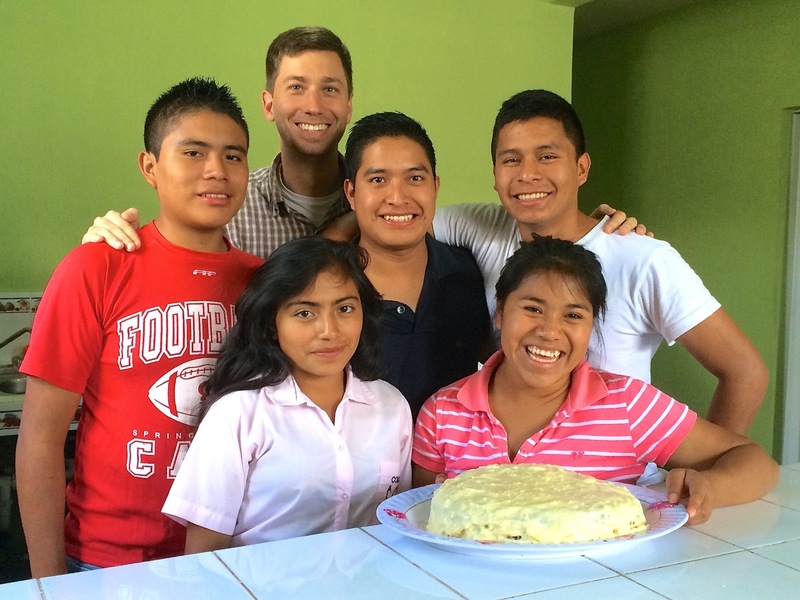 The students regularly have to memorize Bible verses, and this past month they had to read the book of Esther. I love the book of Esther because it portrays a young lady in a very difficult and unfair position who instead of being consumed in self-pity decides to trust God and believe that He is in-control of the situation. relationships developed, also minister to their spiritual needs. 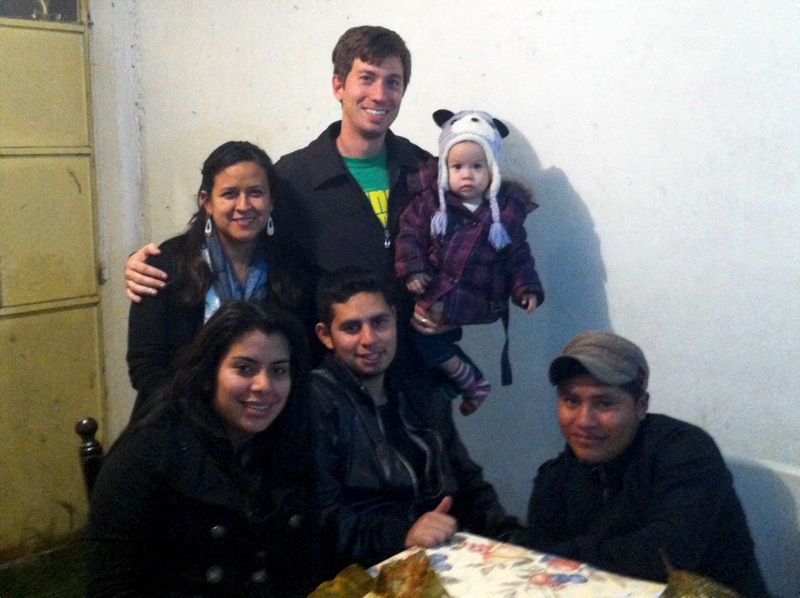 One man, Don Victor, has accepted Christ as his savior, and a group now come to our church. We’d appreciate your prayers as we seek God’s will for how the ministry should continue to grow in the future. We have a full house, and it’s time to expand! Next month we’re starting construction on the second story of our house. We currently have 3 bedrooms in our house which serve as our room, the guys’ room and a guest room. The second story would allow us to give Margaret her own room, have more space for more guys, and move my office out of the living room. We’re currently fundraising for the project, and we would greatly appreciate any help that you could provide in order to finish it. We feel very blessed to be serving God’s kingdom through loving these kids. We hope and pray that God will continue to work through us, allowing us to continue to be a blessing for these wonderful children. If you wish to partner with our ministry, please see our support info page. At the end of December Yuliza and I celebrated 5 years of marriage! God is so good to us! I am so incredibly blessed to have such a wonderful wife, and we are so blessed to have such a sweet daughter! We’d appreciate your prayers for our family. It can be very difficult to balance our family life with the ministry. 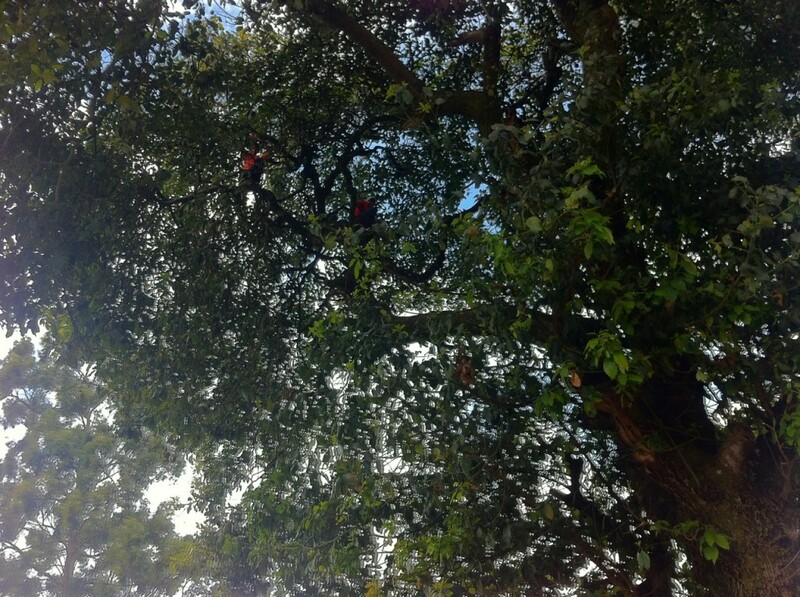 We stay pretty busy, and there’s almost always someone around. So we would greatly appreciate your prayers for wisdom and guidance! Can you believe that it’s been that long already? We now have 4 kids! Alfonzo is our newest guy. He’s 15 and in 8th grade. He arrived this weekend, and we’re so excited to have him join our family. Today was the first day of class at the school where I teach English, and he’ll study there with Celia and me. 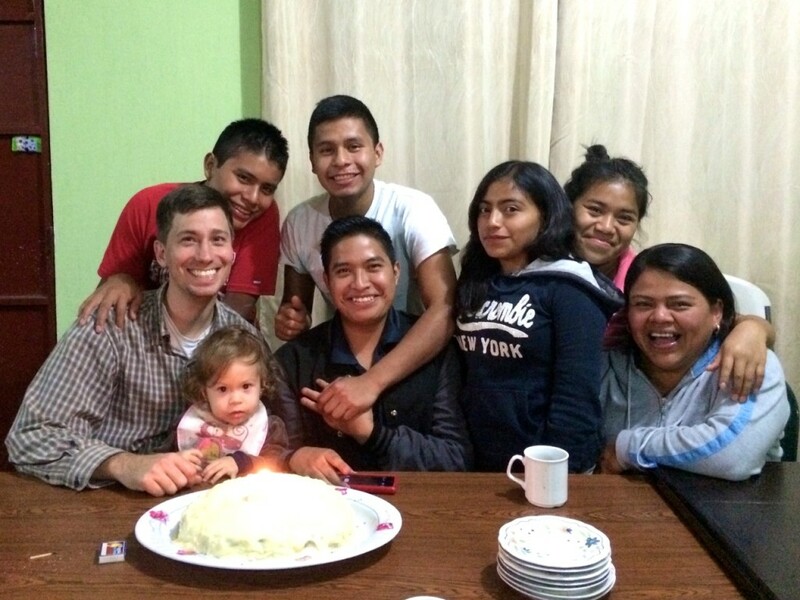 Please be in prayer for Alfonzo as he adjusts to life in our family, and please pray for us that we’ll be faithful servants of the Lord as we work with him, Alejandro, Flora and Celia. 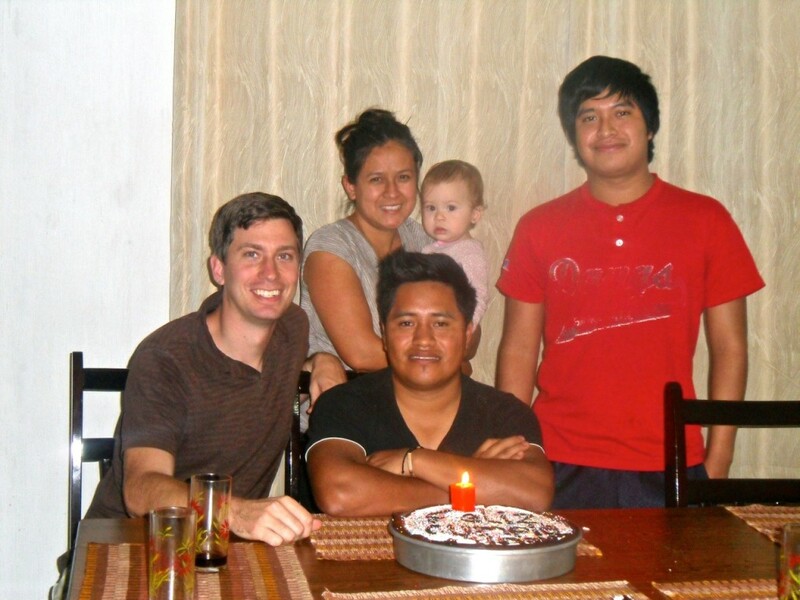 Today was also Elias’ birthday, and he came over so that we could celebrate with him. It was great to have everyone all together! Our friend and fellow teacher Erika has also returned to live with the girls. She’s a huge help for us and does an incredible job with them! We hope that you had a Merry Christmas and a Happy New Year! I’m busy catching up with old posts that I’ve never finished, and here’s some pictures from our Christmas. 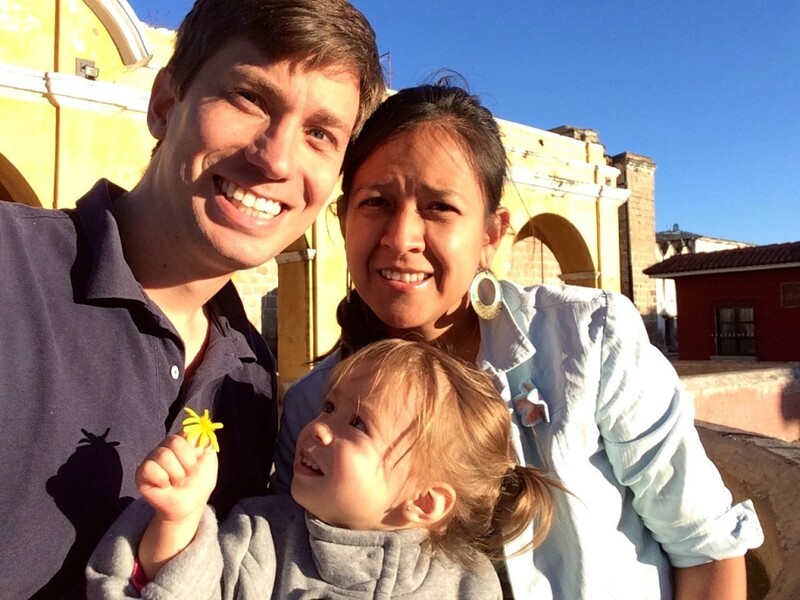 It’s been a busy and fun time as Alejandro and Flora adjust to life with us. 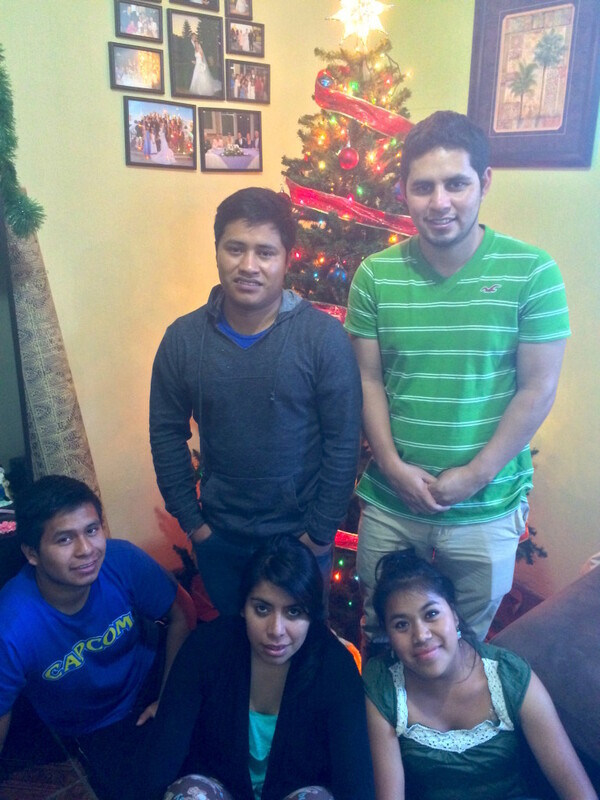 We also had the usual gang of Edwin, Benjamin, Elias and Jennifer join us to celebrate the holidays. 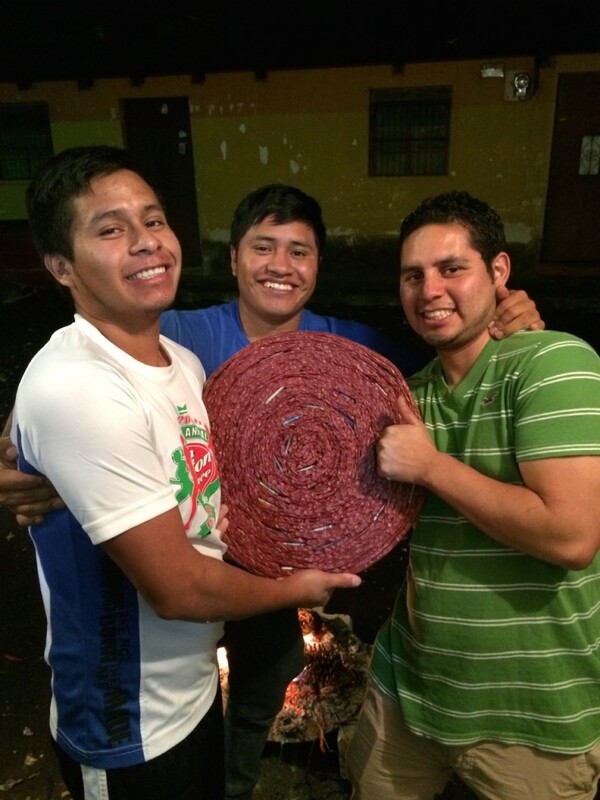 We also invited two guys from the home, Edwin and Juan Carlos, to join us for a few days of their break. We enjoyed spending extra time with them and loving them. Christmas is celebrated very differently here. In the US most people go to candlelight services and sing “Silent Night” on Christmas Eve. 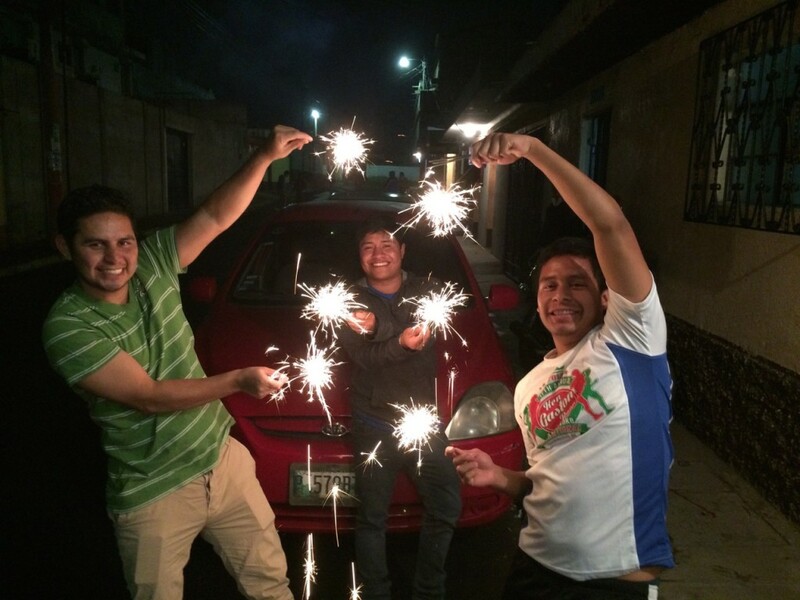 Well, here we light lots of fireworks in order to bring joy to the world! After the fireworks we make a fire and sit around talking and goofing off for as long as possible. Eventually everyone gets too tired and we go to sleep sometime after 3. One thing that really impacted me when I first came to Guatemala was the way that they value relationships here. 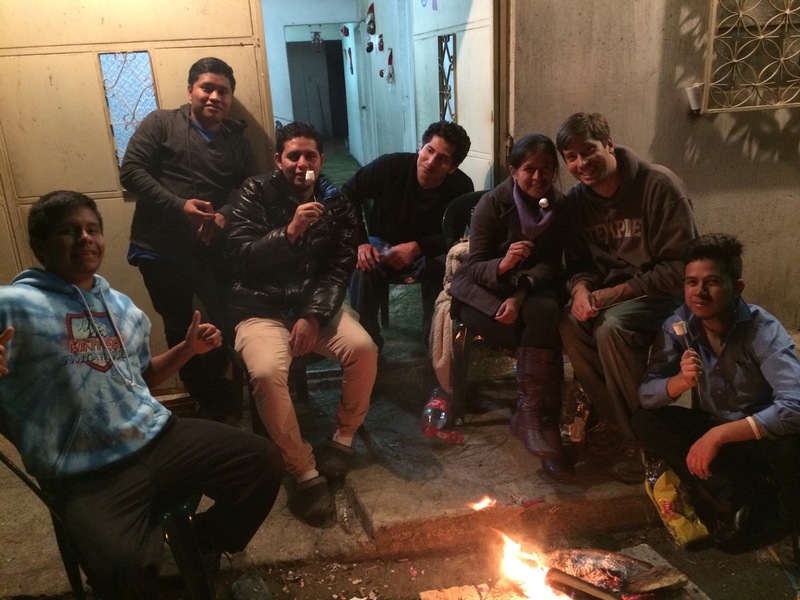 Long after most Americans would want to leave to be alone or go do something, Guatemalans just enjoy being together. Christmas and New Year’s perfectly exemplify this love of each other’s company. To be honest, at times it’s a little exhausting for me. I think that it’s both being American and an engineer, but I love that we get to love these guys and spend so much time with each other. 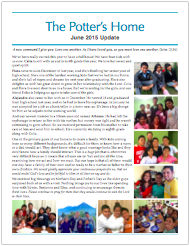 Here’s a review of what’s been going on here in the Potter’s Home in 2014. It was an incredibly great year, and we feel like God really blessed our ministry. But we’re even more excited for what’s in store for 2015! I’ve been way too slow on updating our blog. I’m sorry about that! But I’m working hard on finishing the backlog of articles, and they should be showing up in the coming weeks. 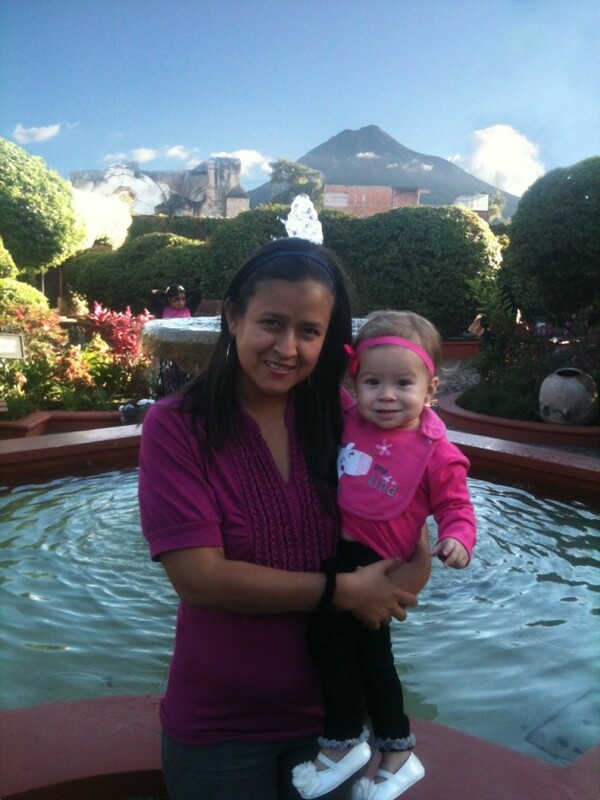 We were spending the day with the kids at Casa Shalom, and Yuli mentioned how wonderful an avocado would be. 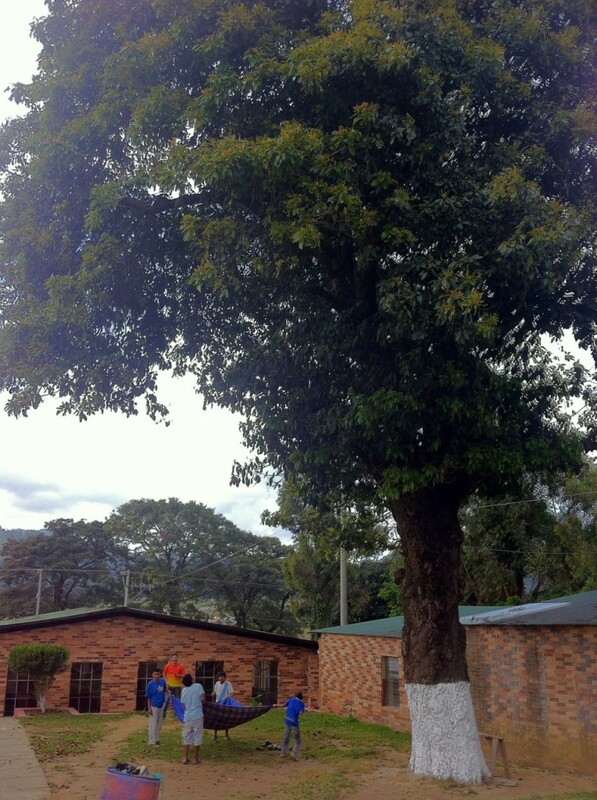 They have this tree at the home that’s really old and huge and has some of the best avocados in the world. Some of the guys ran over and started climbing the tree in order to get some, and other guys brought a blanket which they used to catch them. They picked a LOT of avocados, and they were delicious! December has been an incredibly exhausting month for us. It began with the surprise from immigration that I had to leave the country immediately. So I had to drive to Mexico. 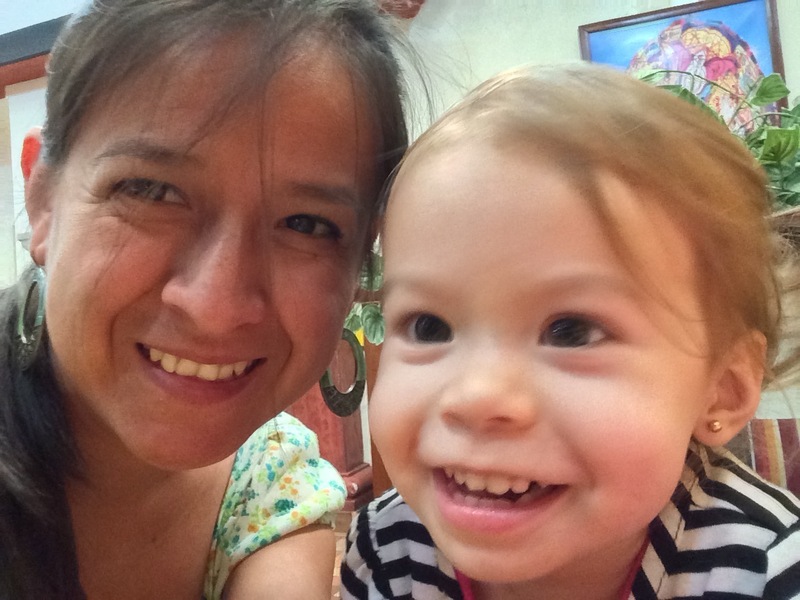 About a week before Christmas Yuli needed an emergency appendectomy. Thankfully the operation was successful and she has been recovering quickly. 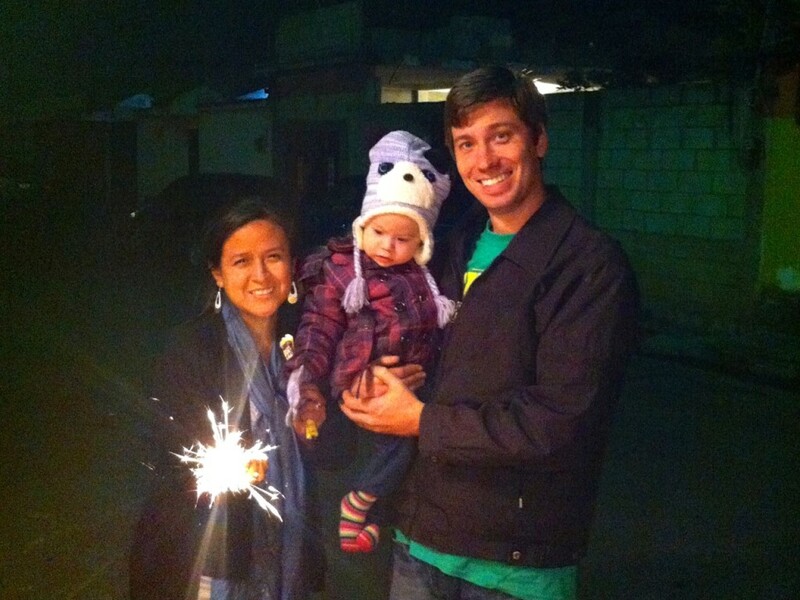 Edwin and Jenifer came over to spend Christmas with us again, and we celebrated in the traditional Guatemalan way with lots of fireworks and great food. On the 26th Yuli and I celebrated our 4th anniversary! We’re so grateful that God brought us together. It now seems like a long time ago as we think back to all the different challenges and issues surrounding our marriage and problems with visas, but God worked everything out just perfectly. Thank You, Lord! December was especially difficult for us because we lost Elias. He’s been with us for two years, and we really miss him a lot. 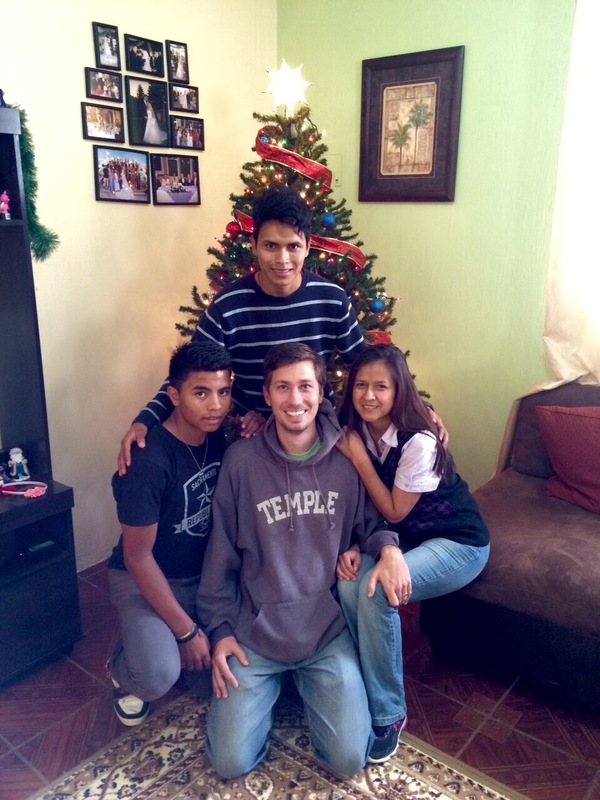 Please be praying for him as he now lives in Guatemala City! 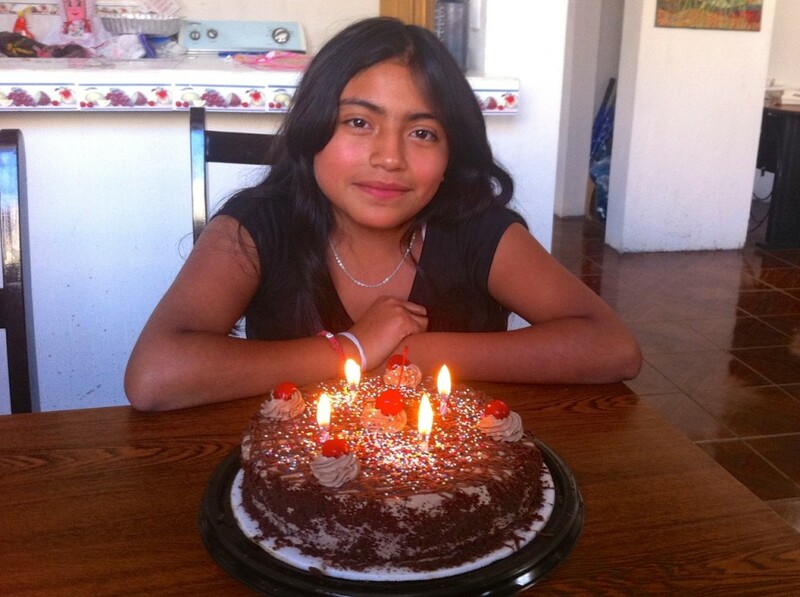 We sure do celebrate a lot of birthdays… Here’s the third one for the week! Celia and her family came over to celebrate her birthday with us today. For a few years we’ve been praying about opening up a girl’s home in order to help girls like Celia and her sister Estela. 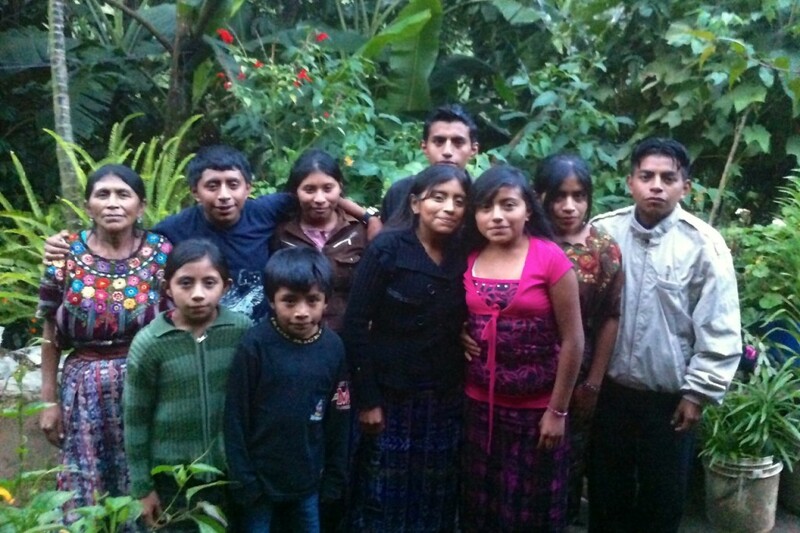 In Guatemala most kids don’t have the opportunity to go to school past sixth grade. Celia just finished sixth, and her village doesn’t have any further opportunities. So we’re hoping, praying and planing to open a new home for them in January. Please be praying for us during this time and important decision. Today Benjamin turned 25, and it was great to celebrate the day with him. It’s been great having him here with us these past two years and watching him grow!